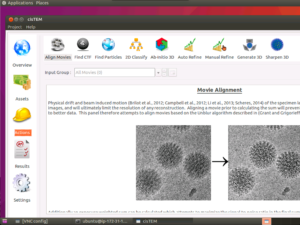 cisTEM is a software package that provides users with the tools necessary to analyze raw movies from the microscope, through all data processing until a refined 3D structure. We have built a workflow that allows users to launch and run cisTEM jobs on AWS that utilizes cryoem-cloud-tools. Therefore, all steps outlined below assume that you have this software installed. The basic premise of our approach for cisTEM on AWS is to utilize VNC remote desktop software, so that users launch cisTEM directly on AWS machines. cistem_launch.py will move all data from the directory where you are launching the script to the instance on AWS. This means that you should put all movies, micrographs, etc. into a single directory on AWS (symbolic links will work too), and then launch cistem_launch.py. After getting your data into a single directory, you are now ready to launch cisTEM on AWS. Users can request different instance types, by default the instance will be m4.4xlarge (16 vCPUs). You will see text printed to the terminal giving you updates on the status of launching the instance. 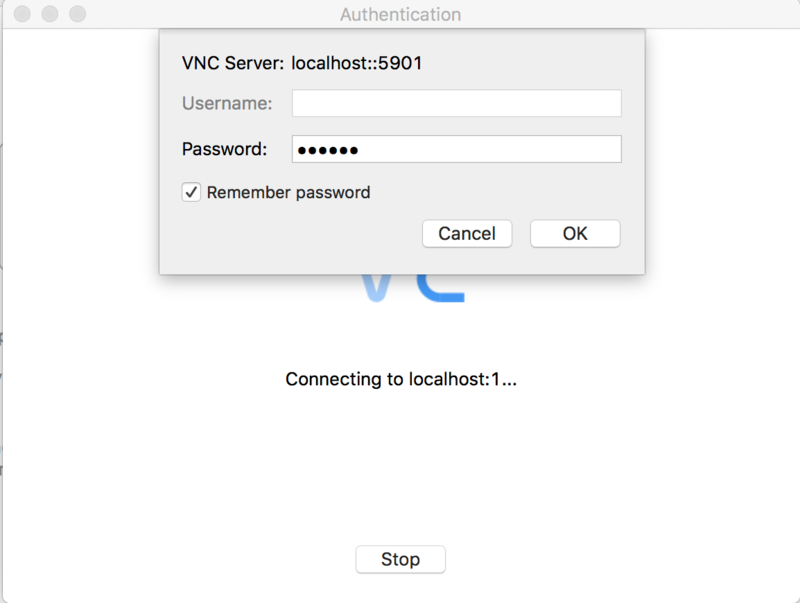 Once finished, you will see instructions on how to connect using VNC. 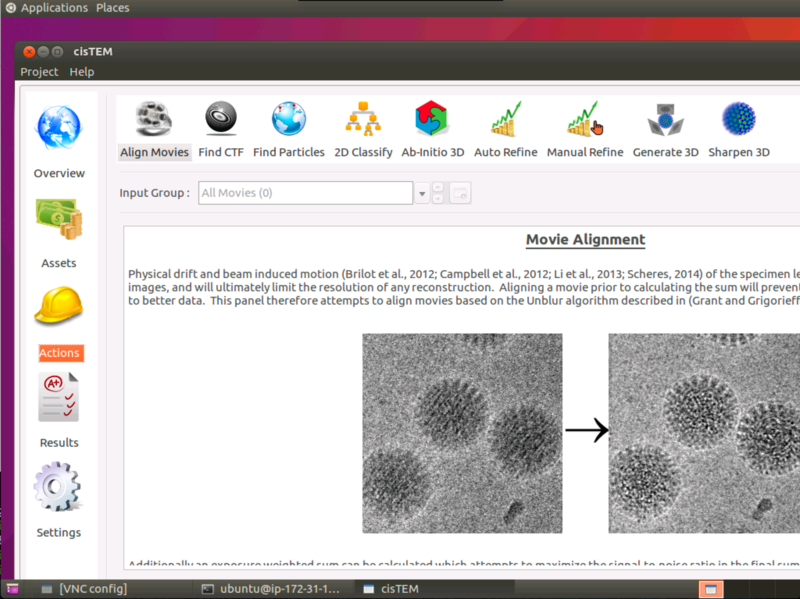 After the instance is launched, you will be prompted to connect using VNC viewer. This means downloading and installing software to run on your local computer. 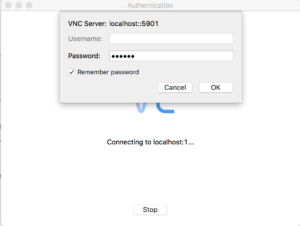 Before being able to connect using VNC, you must log into the instance and leave the ssh connection connected. This provides a secure mode of accessing the remote desktop so it is protected by ssh encryption. After hitting 'enter', you will be prompted for a password. The password is the abbreviation for cryo-electron microscopy (no hyphen, no captilizations). This connection is secure because you have used ssh to connect, allowing only those with your keypair and IP address access to the machine. cisTEM expects the same file path structure on AWS as your local machine, therefore you will need to navigate to the directory on AWS that was created with the same path as that found on your local machine. You will see this same directory structure on AWS. In order for cisTEM on AWS to work seamlessly for local or cloud computing with cisTEM, you need to place the cisTEM database into the same directory as that was uploaded to AWS. You will then run all cisTEM jobs using the local option within cisTEM, using all processors that are available. $ scp -i [path/to/keypair].pem ubuntu@[IP address]:/path/on/instance/Assets/* . Type cistem_terminate.py to launch terminate script. For cistem_terminate.py, you will need to specify --save if you want your data to remain on AWS after your job completes.